Iranian Ambassador Morteza Rahmani Movahed was appointed to his newest position in July, but although he’s lived in Japan for over six months, his schedule hasn’t given him a lot of time for sightseeing. It’s a particularly big year — in addition to his many duties, Rahmani Movahed has been busy overseeing plans for a variety of events honoring the 90th anniversary of relations between Iran and Japan. The commute to and from home also hasn’t yielded the ambassador any opportunities for daydreaming while gazing out car or train windows. “My residence is very far. One hundred meters from here,” he said before breaking off his deadpan delivery with a laugh. Located in Minato Ward, Iran’s spacious embassy features an expanse of glass, high ceilings, an impressive staircase and accents of Iranian artwork that create an atmosphere more evocative of a modern art museum than a diplomatic stronghold. This is arguably fitting, as the ambassador is especially committed to boosting visits and cultural events between the two nations during and following the anniversary. Rahmani Movahed’s ambitions are enhanced and influenced by his four years as tourism deputy president at the Iran Cultural Heritage, Handicrafts and Tourism Organization. During that time, he opened some 500 ecolodges across Iran, allowing international visitors a glimpse into local lifestyles and traditions in places as diverse as the biomes in which they are located. These local homes-turned guest houses can be found everywhere from rural desert communities to jungle villages. Traveling to so many locales gave Rahmani Movahed a deeper understanding and firsthand experience with just how diverse his native country can be, and he believes Japan could benefit from a similar program. “I think that tourism activity and (the) tourism relationship are very important for every kind of relationship between the two countries,” he said. Not only are connections between individuals important, but they can help establish other areas of diplomacy such as economics and culture, Rahmani Movahed elaborated. Last September, Rahmani Movahed submitted a proposal to the Japan Association of Travel Agents in hopes of holding an exhibition on Iran’s handicrafts and tourism potential. This exhibition would be a separate proposal from a Tourism Expo Japan 2019 event in Osaka. An opening celebration kicking off festivities was held on Jan. 17, and at the time of the interview, a combination of specialized and more relaxed events was being finalized. Among them are a cultural week, seminars, roundtables and delegations from Tokyo to Iran (and vice versa). The embassy is also working on holding an Iranian film festival in Tokyo. In terms of scholarly ventures, the Iranian Embassy and Kanazawa University in Ishikawa Prefecture hosted an archaeology seminar at the embassy in October. More than 80 researchers and students interested in the archaeology, culture and history of Iran and Western Asia attended the event. The embassy is also in the process of establishing several “fan tours” that will fly media and those working in the tourism industry from Tokyo to Rahmani Movahed’s home city of Tehran before taking them along various routes throughout the country. These tours are being organized with Japanese travel agencies and despite there being no direct flights between the two cities, Rahmani Movahed hopes the tours will help spread a more nuanced understanding of Iranian culture. One proposed trip includes time in Tehran, a visit to the city of Yazd, a UNESCO World Heritage site, and Mashhad, a holy city along the historic Silk Road that is visited by multitudes of pilgrims each year. This is exemplary of the ambassador’s observation that although a formal partnership between the two countries began in 1929, their history stretches back to when they shared trade routes during the 7th century. Today, around 10,000 Iranian nationals reside in Japan, with Rahmani Movahed among them. His move marks his second time in Japan — the first time was for a 10-day visit around 1983 that was a combination of work and play. Although he’s still in the early stages of his term, he’s observed similarities between the cultures such as a shared focus on family-oriented lifestyles, and areas where Iran can learn from Japan. According to the ambassador, Iran can especially benefit from Japan in terms of technology and urban, rural and city planning. Prospective young Iranians also see Japan as a destination to advance their educational and scientific opportunities, among other areas. At his own job, the ambassador is focused on making sure his staff is actively involved and has a share in decisions being made. Meetings and gatherings are common, and his motto “Group work, group success,” is a solid representation that pairs nicely with his goals. From a professional standpoint, Rahmani Movahed hopes to continue improving bilateral relations overall, which encompass the political, cultural and economic partnerships between Japan and Iran. “I’m looking to improve my knowledge about the people of Japan,” said Rahmani Movahed. For the ambassador, it’s less about separating his personal and professional goals and more about seeing the two as interrelated. 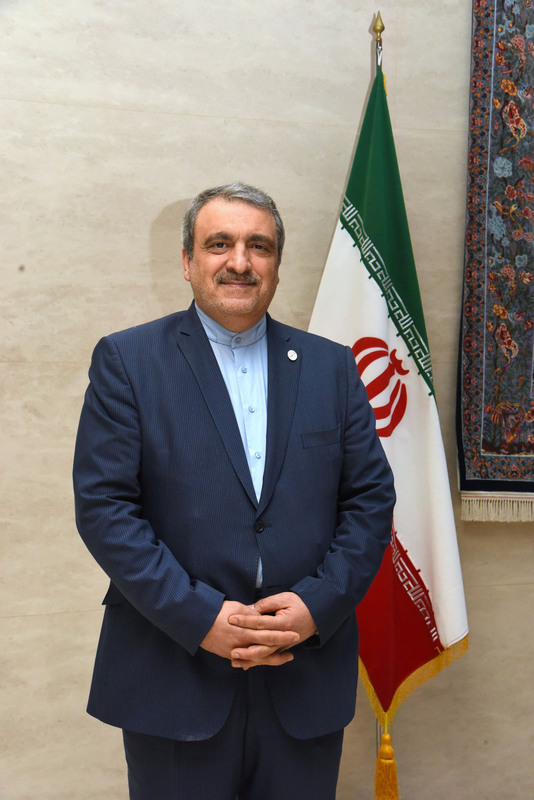 Iranian Ambassador Morteza Rahmani Movahed began his leadership duties in July 2018, following one year working as advisor to the minister of foreign affairs and senior political expert in Iran. With a bachelor’s degree in political science and a master’s in international law, Rahmani Movahed has taken on various diplomatic roles around the world since 1989, when he worked as a political expert focusing on Western Europe. His many positions include his time as first secretary of the Iranian Embassy in Germany for five years and a later post in Shanghai as Iran’s consul general from 1999 to 2003. Rahmani Movahed served as ambassador to New Zealand from 2005 to 2009, and later had roles focusing on politics, international education and research. 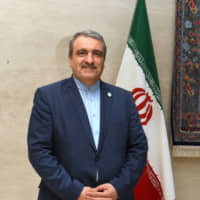 One notable position he believes is especially helpful to his current role was when he was the tourism deputy head of the Cultural Heritage, Handicraft and Tourism Organization of Iran from 2011 to 2016.